Throughout the Galaxy there are numerous Alien races; some peaceful and some warlike. The fate of the latter is often to end up as Mercenaries, fighting for whoever has the biggest credstick! 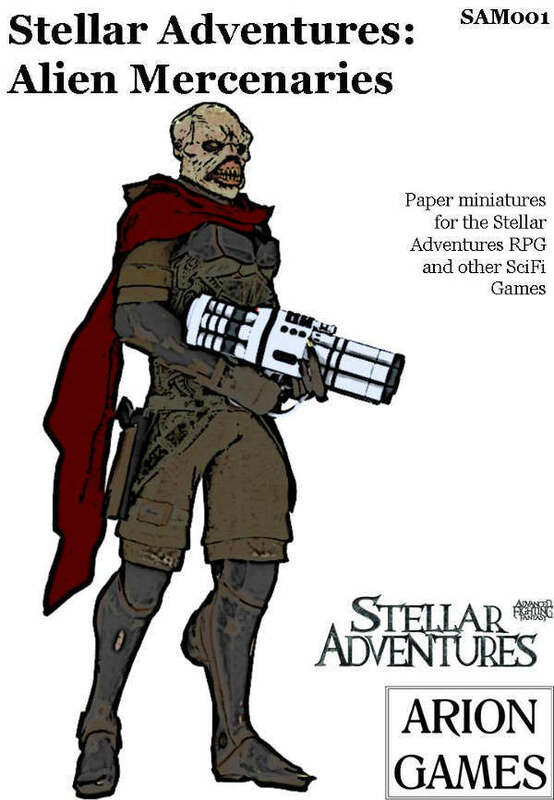 This set of paper miniatures for the Stellar Adventures RPG (or indeed any SciFi game) provides five each of three different Alien Mercenary races. Also included is a brand new seven page supplement for the Stellar Adventures RPG detailing the Blazing Comet Mercenary company. This supplement contains details of the Company itself, new weapons and three new playable Alien races.